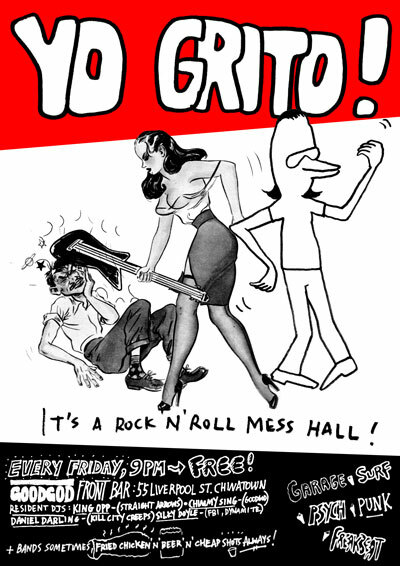 Yo Grito!, Transforms Goodgod Front Bar into a Friday night Rock’n’Roll mess hall. Get down to the choicest surf guitar licks, the freakiest of freakbeat, and fuzziest of garage rock. Selected by an all-star cast of some of Sydney’s most infamous rock’n’roll characters, including King Opp, Silky Doyle, Flashback and Gonz! Free in the front, 9pm til forever!